Rotary International District 9110, Nigeria, covering all Rotary Clubs in Lagos and Ogun States will perform the installation ceremony of new District Governor, Rotarian Dr. Adewale Lateef Ogunbadejo, on Saturday July 8, in Lagos. The installation of Rotarian Dr. Adewale Lateef Ogunbadejo as the 37th District Governor of Rotary International District 9110, Nigeria for 2017-18 will be holding on July 8, 2017 at The MUSON Centre in Onikan, Lagos. Dr. Ogunbadejo was born to the families of late Alhaji Salman Adebayo and Alhaja Musinot Ogunbadeyo in Lagos on 14th September 1959. He is a Prince of the Soungbade Royal Family of Ososa and Ogbagba Ruling House of Ijebu-Ode, Ogun State. Dr. Ogunbadejo started his basic education at the Lagos City Council Primary School, Fadeyi, Yaba in 1965. In 1971, he obtained his WASC “O” Level from the Adetola Odutola College, Ijebu-Ode where he passed with flying colours. He further got his “A” Level in 1975 from Igbobi College, Yaba. And in 1977, he attended the University of Ibadan Medical School for the Bachelor of Medicine Surgery Degree (MB,BS). Alas, Dr. Ogunbadejo did not stop there. He started climbing the peak of the ladder career wise when he did his housemanship in 1982 at the Lagos University Teaching Hospital, Idi-Araba, Lagos. He completed his National Youths Service Corps at General Hospital, Ikeja in 1983. He became a medical officer at the Department of Surgery, General Hospital, Ikeja in 1984 where he worked for just one year. In 1985, he worked for three years at the Maryland Medical Centre as a Medical Officer and from there, event on to being the Junior Resident, Department of Surgery, LUTh, Idi-Araba in 1988. From 1990 till date, he is the Medical Director, Aniyun Hospital Limited, Lagos. In 2000, he got his Post Graduate Diploma in Hospital Management, University of Lagos and in 2015, his Diploma in Family Medicine. He has in pursuit of professional excellence and the provision of quality care to his patients, attended various courses both locally and abroad, over the years. Dr. Ogunbadejo became a Member of the Nigerian Medical Association and Fellow, Association of General and Private Medical Practitioners of Nigeria in 2003. In 2002, he was the First Treasurer of AGPMPN, Shomolu Branch, Lagos, an active member of AGPMPN, Lagos Branch. He was also a member of the Health Care Providers Association of Nigeria, Lagos Branch as well as a member of World Organisation of Family Doctors (WONCA). 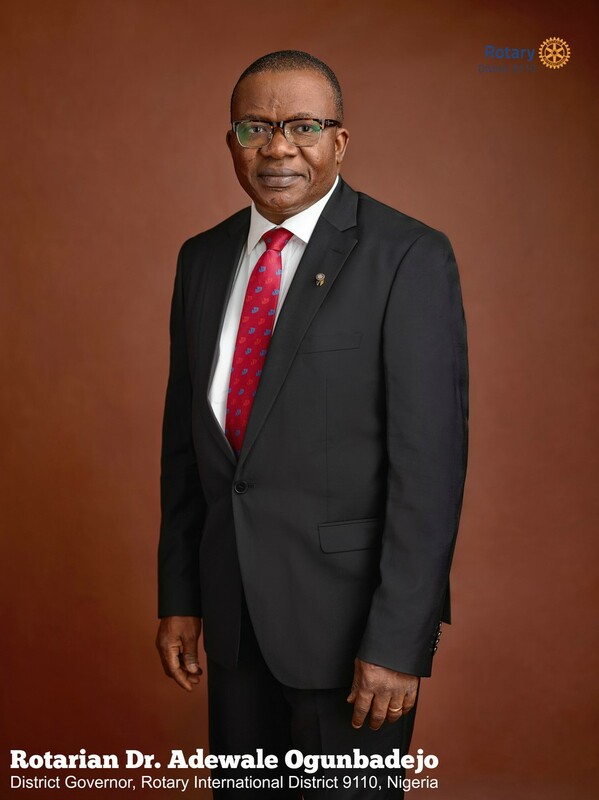 Dr. Ogunbadejo joined the Rotary family as a Charter member of Rotary Club of Gbagada South in the 2002/2003 Rotary year and was immediately assigned as a member of the Community Service Committee. He became the Chair, Poverty Alleviation Committee by the next Rotary year which has nurtured the Microcredit scheme of the club from the sum of N50,000.00(Fifty Thousand Naira only) to being a Global Grant project with more than N1,000,000.00 [One Million Naira only] and serving two communities in the two states of District 9110 (Lagos and Ogun). He served in several Committees of the Club before being found worthy to be the Club President in the 2006/2007 Rotary year. 2nd in The Rotary Foundation Giving.. He progressed further to be appointed into the following positions at the District level. In 2005/2006, he was the Vice- Chairman, Paul Harris Fellows Night and a member of the Rotary Community Corps Committee. 2013 / 2014 : Resource Person, District Administration Committee. He is a life member of The Rotarian Action Group for Micro-Credit (RAGM) ; The Action Group for Water and Sanitation(WASRAG); The Action Group for Family Health and HIV/AIDS(RFHAA); The Safe Blood group;The International Fellowship of Rotarian Doctors and The Rotary Foundation Cadre of Technical Advisers. An excellent fund raiser and mobilizer of human and material resources, Wale as he is fondly called, was able to use his diverse contacts to attract the sum $40,000.00(Forty Thousand Dollars) to the coffers of The Rotary Foundation. He single-handedly donated an infant incubator to the District in 2008/2009 Rotary year for which he was specially recognized at the Conference of that year by the then DG, now PDG Richard Giwa-Osagie. As the District Governor’s Installation Chairman in the 2013/2014 Rotary year, he made a surplus of more than N5,000,000.00(Five Million Naira) for the District. As the RYLA Chairman in 2014/2015, he made an unprecedented surplus of more than N2,000,000.00 (Two Million Naira) for the District. He is a Facilitator at District Training Sessions and a member of the Bank of Speakers of the District. Major supporter of youth activities with many awards from the District Rotaract and Interact Committees. Arrow-head of the Global Grant done by his club which was the first to be done in the District. This consisted of six Borehole water projects and N1,000,000.00 (One Million Naira) micro-credit scheme. Secretary, Local Organising Committee of the West African Project Fair in the 2012-2013 Rotary year. This was the first profitable edition of the Fair. Member, Cleft Lip and Palate Mission, 2010-2011 and 2013-2014 Rotary years respectively which carried out 175 various oral and maxillo-facial surgeries to very indigent but malformed children and adults. This mission consisted of a surgical team from USA. Consistent contributor to The District Educational and Welfare Endowment Fund [DEWEF]. He has in the course of service to Rotary as a Cadre member, travelled to various Countries to inspect, review and audit Global Grants projects on behalf of The Rotary Foundation. Major Donor and Benefactor of The Rotary Foundation of Rotary International. Secretary and Board Member, Ososa Community Bank, Ososa, Ogun State 2003-2006. Past Board Member, Adeola Odutola College, Ijebu-Ode. Patron, Araromi Primary School, Ifako, Gbagada, Lagos. An accomplished Medical Doctor, Wale is a philanthropist who has sponsored so many orphans, indigent and physically-challenged youths through various stages of their educational ,professional and vocational lives. He got married to his heart throb, Olufunmilayo on 14th September, 1985 and the marriage is blessed with children and grand-children. All members of his family are Paul Harris Fellows, including his parents. 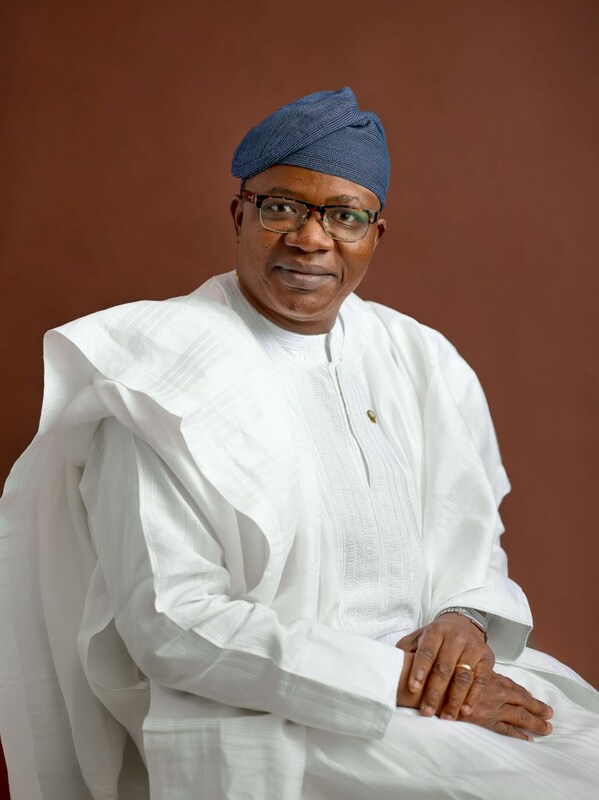 He is a Past President of Fs Club, a socio-philanthropic organisation in Lagos with a collection of some of the most upwardly-mobile and influential Nigerians.